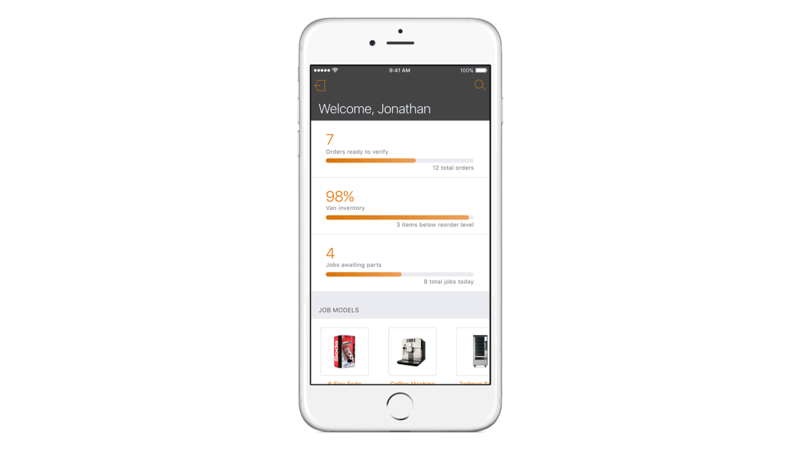 IBM MobileFirst for iOS Parts Expert gives field technicians real-time visibility into parts inventory – what jobs await parts and what parts are nearby. The analytics in Part Expert shows field technicians jobs that are awaiting parts, van inventory and parts delivered – in addition to parts available on nearby vans with other technicians. The app provides a view of popular and favorite machine models, along with suggested parts that a technician will likely use in the repair job. Push notifications alert technicians to safety issues and/or parking hazards. The camera enables technicians to snap a picture of the exact placement of equipment in the customer retail establishment – preventing lost time or confusion later on. Directional GPS arrows enable a technician to take the most optimal route – which is especially helpful if the technician is in a large plant or mall complex. Technicians have more insights and knowledge at their fingertips. Parts Expert enables them to diagnose problems faster and get a customer machine up and running quicker – translating into better customer service and increased profits. Complete thorough evaluations on the spot.